In a market saturated with repetitive bookings, Iris Presents continues to stay the course when it comes to bringing genuine talent to the Atlanta dance music scene. This Saturday, join us for trance legend, Andrew Rayel. 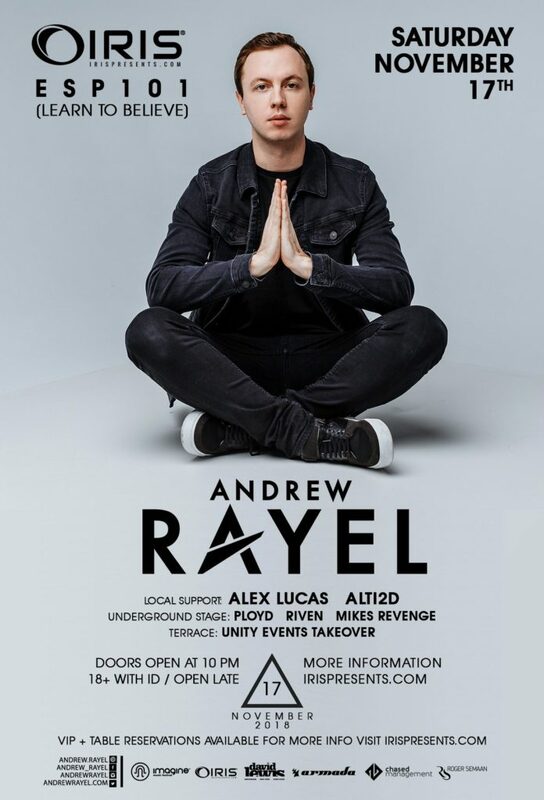 26-year-old Moldovan-born producer Andrew Rayel (Real Name Andrei Rață) will take the main stage this Saturday to bring Atlanta a night of unforgettable trance, which will certainly get you in your feels. Dubbed as currently one of biggest names in trance music, Rayel has been developing his signature sound and producing since the ripe age of 13, and he has truly come into his own over the years. Rayel’s transition from Big Room House at the height of it’s popularity back into the Trance genre shows us one thing- versatility. Once signed on Armada (co-founded by Armin van Buuren), Andrew Rayel quickly became a household name for trance and house aficionados alike. 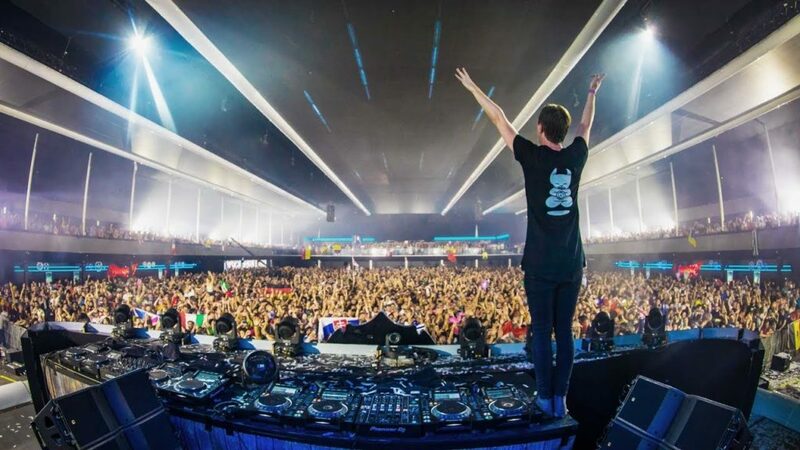 With his tracks played out by some of the biggest names in dance music such as Tiesto, W&W, and Hardwell, it’s easy to see what all the hype is about. Consistently in the DJ Mag Top 100, in 2013 he earned the award for “Highest Climber”, and hasn’t let off the gas since. 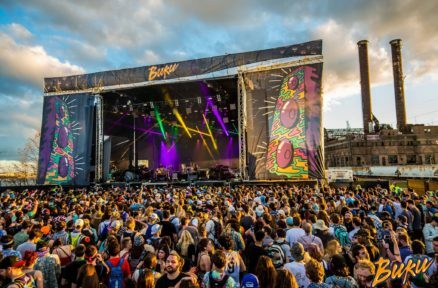 After releasing his first full-length studio album, “Find Your Harmony” in 2014, he has continued to put out track after track, typically ranking high on the charts, and always sure to get crowds moving. In mid-2017, Rayel opened his own label, inHarmony Music, and gathered a roster of house and trance heavy-hitters to work alongside him. On top of acting as label head, Andrew still has the time to crank out chart-toppers and produce music the way he wants to. Back in the studio, Rayel is already hard at work cooking up another full-length album, on top of touring and staying extremely active on the festival circuit. One of his most recent releases, “Last Summer,” is a prime example of the sheer talent and production ability he displays as an artist blending big room and trance meticulously. Constantly booked at Armin’s ASOT events, his talent and intuitive track selection makes it clear why he is a crowd favorite. It may be cold out, but this show is sure to bring the heat to warm you up! You can get your tickets ahead of time at Belive.eventbrite.com. We will have some local favorites bringing the bass at the underground stage such as Mike’s Revenge, RIVEN and PLOYD.